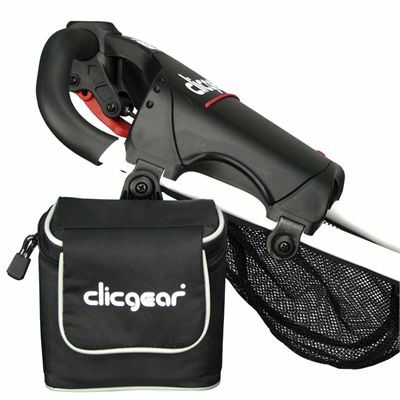 The Clicgear accessory bag provides extra space for your golf accessories. This stylish bag is supplied with a zipper and a magnet flap. 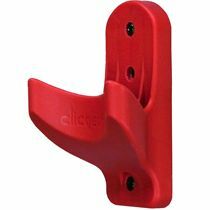 It is made from waterproof nylon to provide maximum protection of your accessories. The Clicgear accessory bag is 12.7cm (5") long, 6.4cm (2.5") wide by 15.2cm (6") high and fits all Model 1.0, Model 2.0 and Model 3.0 Carts as well as other brand name push carts with 1" tubing. for submitting product information about Clicgear Accessory Bag We aim to answer all questions within 2-3 days. for submitting product information about Clicgear Accessory Bag. We aim to answer all questions within 2-3 days. If you provided your name and email address, we will email you as soon as the answer is published. for submitting product review about Clicgear Accessory Bag.